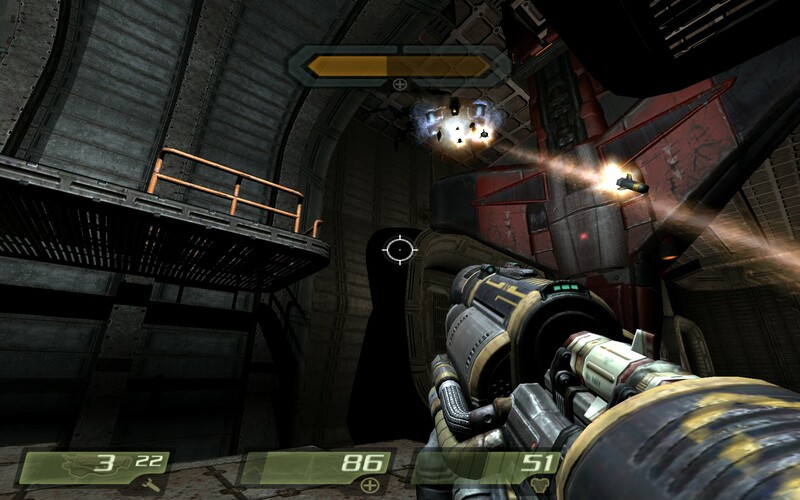 The Shipyard is a single player level for Quake 4 that I created as a solo project over a period of two and a half months, including time for documenatation and planning. 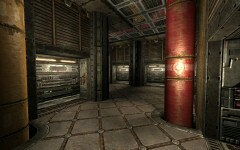 The entire level uses only existing texture and model assets from Quake 4. 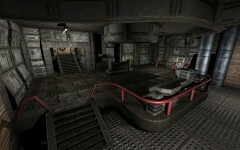 This level features AI scripting and sequenced events as well as detailed world geometry created out of BSP brushes and patches. 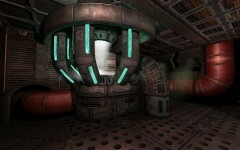 The level also includes custom particle effects, sound effect placement, and music. After escorting the NPC to the bomb site and back, you are faced with a boss encounter, a completed and fully armed Strogg ship. I was able to add polish elements such as a boss health bar, sound effects, and music changes to make this a dramatic encounter. The player is given a rocket launcher with a built-in homing mod, which makes this fight reminiscent of the encounter destroying a dropship in Half-life 2.